Marcus Brimley was just four years old when his CIA analyst father went missing and the world branded him a traitor. Eight years later, searching for clues to find his father and prove his innocence, Marcus breaks a complex code that sends him shooting through a storm into an alternate realm - but he's not alone. When Marcus lands in this new world, Dracone, he finds that he has been followed by government drones, and they're out to destroy Marcus and all of Dracone. While fleeing the drones, Marcus meets Dree, a twelve-year-old Draconian girl who comes from a family of dragon riders. Dree explains to Marcus that while humans and dragons used to be friends, the rise of Dracone's prime minister has turned them into enemies, with humans hunting dragons for sport and dragon-riding families like Dree's pushed to the poorer outskirts of the city. 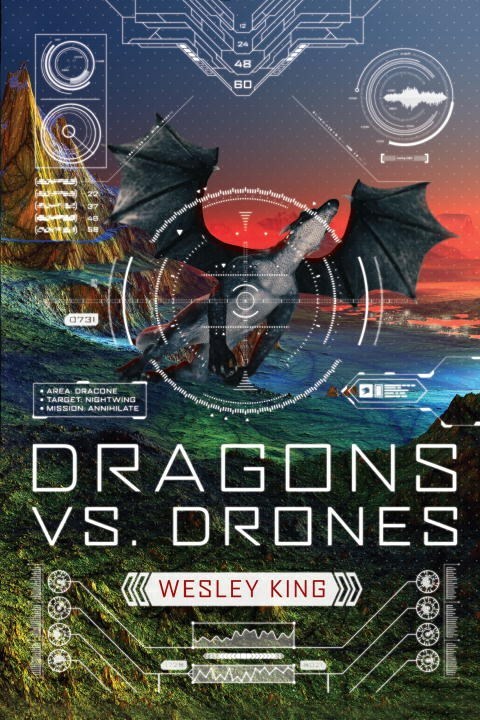 However, with the drones opening fire on the dragons and the people of Dracone, Marcus and Dree realize that they must enlist help from the dragons if they want to avert an all- out war that will leave Dracone decimated.